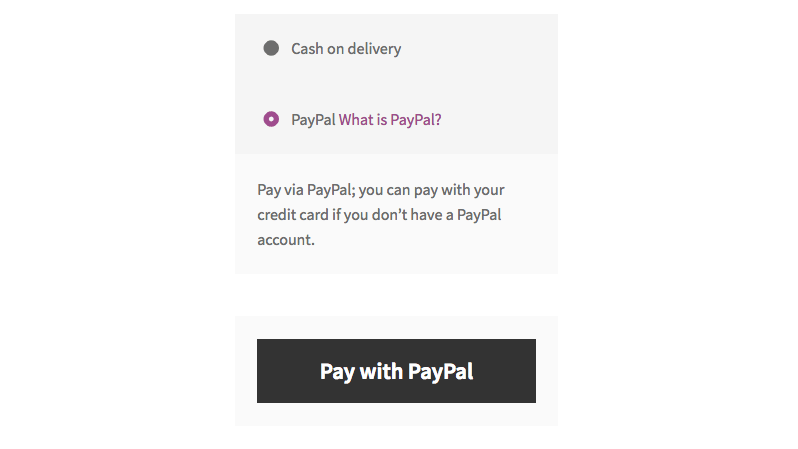 Sometimes you may want to change standard checkout button texts like "Place order", "Proceed to PayPal" etc. In this tutorial I will show you a couple ways to do that. As you can see I’ve already changed the text to "Submit"
But please do not do it 🙏, because there is a hook for that. Even two. I will show you both of them. The most simple way, just copy this code to your current theme functions.php file (but better – a child theme or a custom plugin, otherwise you will lose your changes every time after your theme received an update). You can also change button text if a specific product is in the cart, or if products from specific categories are in the cart etc. The hook woocommerce_order_button_html accepts only one parameter which is the button HTML. This hook also allows you to create the button HTML from scratch. This one will be a little tricky 👽 First of all, your custom payment gateway could not have a hook for that and second – of course you can not make changes directly in payment gateway plugin files. Even if a payment gateway doesn’t have a hook for that, it must support localization. So, gettext hook will help us in this case. You can apply this code for any payment gateway, just check how it renames the button in English and use that phrase in the above code on line 10. And please be careful because the string your would like to override like "Proceed to PayPal" could be used somewhere else on your website. If so, just add a condition. Need some help with WooCommerce?